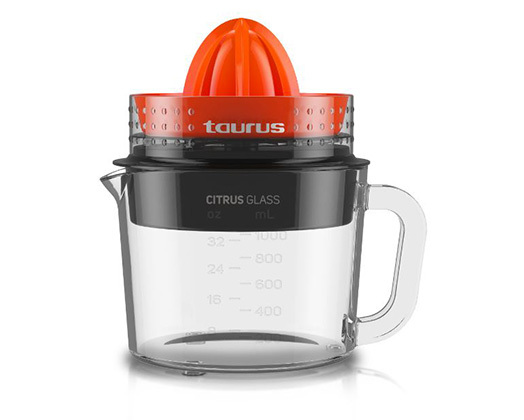 Home Products Taurus Citrus Juicer Glass Orange 1L 25W "Citrus Glass"
Taurus Citrus Juicer Glass Orange 1L 25W "Citrus Glass"
Get delicious freshly squeezed goodness from the "Citrus Glass" Citrus juicer from Taurus. The large 1L glass jug makes this an attractive addition to every kitchen. The :Citrus Glass" has non-slip rubber feet and a compact storage design with two cone attachments for all sizes fruit.